Wondering why most Chinese people live longer than others? The secret is actually found on what they eat and drink. Aside from the healthy and sumptuous food they eat every meal (which includes three or more various sets of vegetables), they drink tea every after meal, or in between meals. Chinese people prefer tea rather than coffee simply because the taste of the tea goes well with their food. People who are not accustomed to drinking tea and try it for the first time would think it tastes nothing but hot water with a bit of indescribable taste. Some people say it tastes like water from the bath tub, or water with rust. But believe me, after you get to try it for five times or more, especially with Chinese food, you’ll get used to it and may even ask for more! Drinking tea also fights off the spiciness in food rather than water. In fact, water can worsen that feeling of spiciness once you drink it immediately. Drinking tea regularly for many years produces stronger bone density. Both green and black teas protect our body from developing cancer cells. Black tea can also boost your immune system to help fight off flu by drinking or gargling it. Also, gargling with tea is proven good for oral health, preventing cavities and gum diseases. Green tea reduces the risk of high blood pressure. Other general benefits gained from drinking tea include preventing Parkinson's disease, rheumatoid arthritis, and heart disease. So what is the secret ingredient that is responsible for these health benefits? Tea contains rich compounds of “flavonoids” that is associated with reduced risk of the above ailments. What’s more, it is a hundred percent natural antioxidant. Aside from black and green tea, there are also hibiscus teas that contains large amount of flavonoids namely sour tea, red zinger tea, and sorrel tea. What’s for sure is that you don’t have to be Chinese to live longer. Give yourself a try and sip for hot tea for a healthier you! 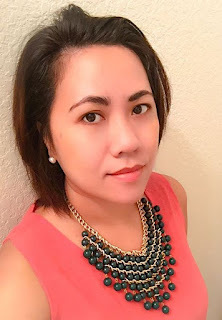 Yssa is a freelance content writer who enjoys traveling and food photography. Her current project is about hypothyroidism diet and practical exercises for patients with hypothyroidism.